We have been manufacturing caramels for 60 years (since 1952). Having a lot of experience in this respect, we have been able to work out a unique recipe that combines tradition with the customers’ expectations, which tends to change all the time. Our offer includes as many as over 30 types of caramels, both filled and hard ones, with all kinds of fillings and flavours. 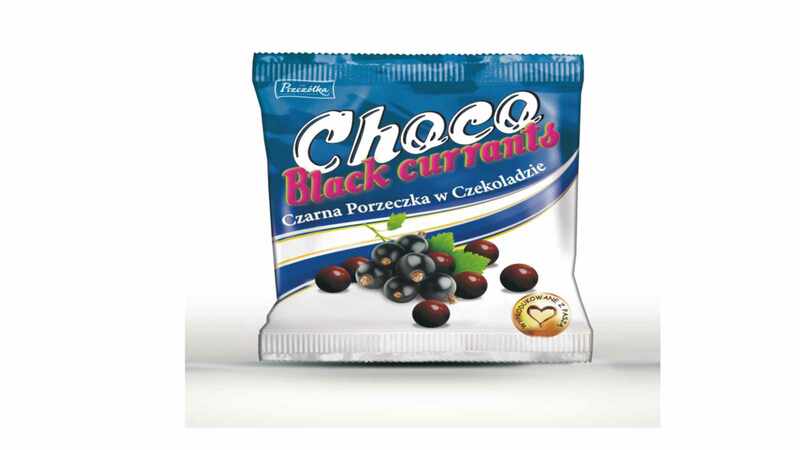 Now we start new products: Coffee Amo Choco nuts (nuts in chocolate), Choco Cranberries (cranberries in chocolate) Choco Raisins (raisins in chocolate) and Super P. We have successfully cooperated with a great number of wholesale firms from all over Poland and abroad. Our advantages are a reasonable price, high quality and varied and colourful packaging, which catches customers’ attention. The quality of our products is confirmed by the integrated quality system ISO and HACCP. We are proud of our company because we keep our promises to our customers. We are able to meet your requirements concerning orders both in terms of quantity and quality . Produkty i usługi: Caramels, filled and hard, all kinds of fillings and flavours and caramels covered with chocolate.